41 percent think Arab Spring changes bad for the US – But they were good for the New World Order–which is why the US government and intelligence agencies labored for the Arab Spring changes. Boehner to form select committee on Benghazi – The pretend issue of Benghazi (what happened will never get a proper hearing, regardless of the Corporate Media’s constant distractions. To believe that the same government responsible for the events on Sept 11 2012 and 2001 would do the right thing is laughable and any who believe that is possible are living in a fantasy land of the media’s making.) gets a pretend solution, which indicates the issue’s lifespan is about over. Select committees are what Congress forms when they want to bury an issue for good. Ken Clement says Pope Francis is the “Chosen One” – Another false prophet of which we were warned. Automatic Flatterer – Need a complement? Sometimes Silence speaks more than words ever could! – Precisely! Discernment: The Road of Death vs Life – So many are certain they know–and yet, ungodliness abounds. Why? Inflation Calculator – Such devices are interesting–if not a very accurate description of the magnitude of financial changes. For example, the Inflation Calculator informs us that 21 cents in 1973 (the price for a gallon of gas) is the equivalent to $1.12 in 2014. But is that an accurate depiction of inflation or just an accurate evaluation to how inaccurate the government’s inflation statistics are? In 1973, an hour worked at minimum wage ($1.65) bought almost 8 gallons of gasoline. In 2014, an hour of minimum wage buys a little over 2 gallons of gasoline. What’s the favor of the Lord and how can I get it? TD Jakes yokes up with New Age queen Oprah – One could call it being “unequally yoked” but one has to wonder if a man who consistently preaches contrary to the Bible is a Christian? So maybe Jakes is just yoked with Oprah. A Brief History Of Your Television – Not one word about the alternate reality which was created; the propaganda, disinformation and Corporate Media narratives spewed out; or, the complete destruction of societal norms it took thousands of year for civilization to build. The Rise of End Times Occultism, part 6: Metaphysical Mysticism Masquerading as Science – One teaching that is crossing between mysticism, religion, spirituality, “science,” the occult, New Age and Christianity: the dominating idea that everything is determined by “vibrations.” “Vibrational frequency” is another catchphrase. In Christianity, these ideas have been introduced by the New Age Sci-Fi Modern American Prophecy Industry and spread into the church at large. The Science Fiction gnosicism of Tom Horn, Chuck Missler, Cris Putnam, Doug Hamp, LA Marzulli and others mixes occultism, Kabbalah, pagan mythologies and Catholic mysticism; then elevates this steaming mess of apostasy to the same level as Scripture. Don’t think Rock Music is from the occult? Think back to the Beach Boys’ hit Good Vibrations–released in 1966. 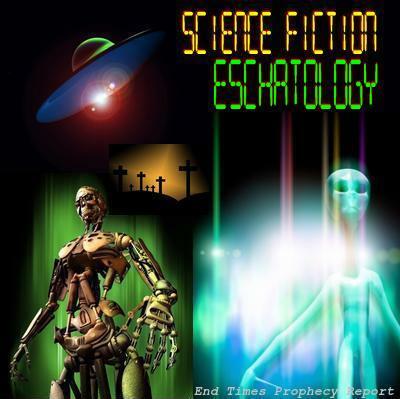 This eschatology puts an emphasis on nephilim, giants, robot revolts, artificial intelligence, UFOs, ETs, alien life forms, fallen angels, hybrids and other science fiction themes. Miami’s Poor: Living on $11 a day – Miami is an urban area–where it takes more to live than in a rural one. The collapse of anti-gay religion – As usual, this Corporate Media piece equates silence on sin with tolerance, brotherhood and every good thing on God’s green earth. Letting a lost human wallow in sin is not love. It is hate. However,God loves His entire creation: we are to pray for every lost soul–including and maybe especially, homosexuals. Jesus came to free all those who might believe who are trapped in sin before they face the Perfect Judge, who will judge them perfectly. CDC Confirms First Case Of Deadly MERS Virus In U.S.
Mount St. Helens gonna blow again? Tornado Outbreak: Billy Graham Rapid Response Team Chaplains in Arkansas, Mississippi and Kansas – ‘Rapid response teams’ seems to be the newest wave in end times Christianity. And it is exciting; so much more so than laboring day-by-day for the local poor and where the gospel is preached in times of calamity–not all seasons. Do You Know if You Going to Heaven? Be Sure! 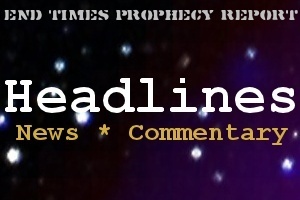 Tom Horn & Chris Putnam: Vatican Heralds, Vatican Hucksters or DUPES?